With its stunning good looks, the FYR 25 Rucksack from Vango blends outdoor technical features with a sleek urban aesthetic. The 420D Cationic fabric, is nearly 4 times stronger and is extremely abrasion resistant. 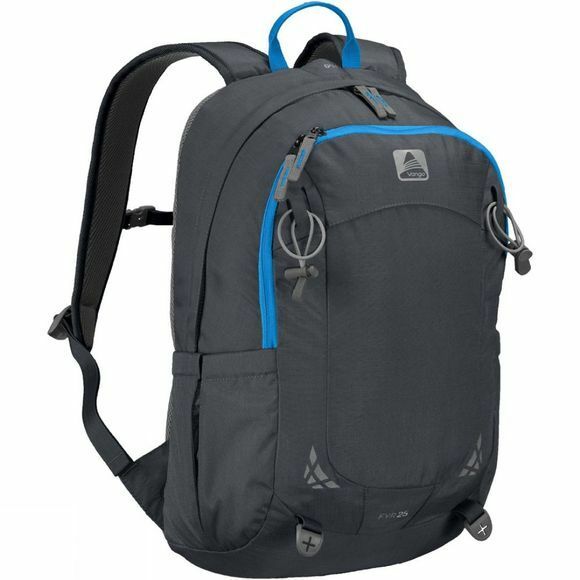 With a walking pole attachment points, detachable waist belt and mesh organiser pocket, FYR 25 Rucksack from Vango is as at home on the hill as it is in the city.